In the early 1960s, most middle-class American women in their twenties were preparing for marriage, children, and life in the suburbs. 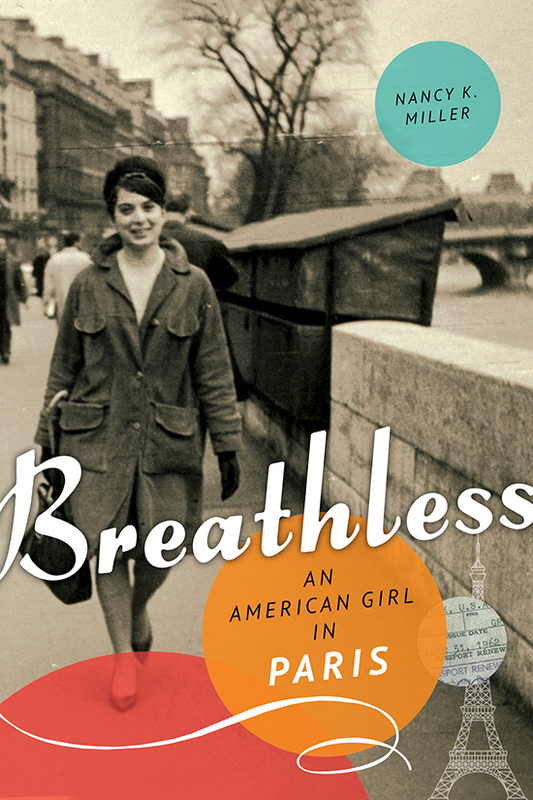 Breathless is the story of a girl who represents those who rebelled against conventional expectations. Paris was a magnet for those eager to resist domesticity, and Nancy K. Miller was enamored of everything French. After graduating from Barnard College in 1961, Miller set out for a year in Paris, with a plan to take classes at the Sorbonne and live out a great romantic life inspired by the movies. Miller’s memoir chronicles a young woman’s coming-of-age tale, and offers a glimpse into the intimate lives of girls before feminism. Surprising, daring, funny, wise, and profound.